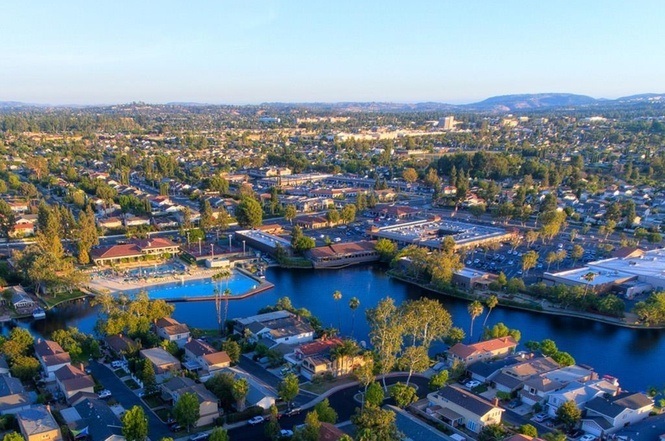 Are you thinking of moving or relocating to Lake Forest, California? Would you like to know what the quality of life is like living in Lake Forest? Lake Forest has very mild weather. In fact, this town has the stereotypical California weather that has been bringing people to the state for well over a hundred and fifty years. The summers can get hot occasionally, but the cool ocean breezes cool you off and make each summer day just about perfect. Spring and fall are the best, as far as weather goes. Not hot, not cool, just right. Winters can get cool, even cold, so always bring a jacket and wear layers because the weather, rather the temperatures can change from cold to cool to warm in a matter of minutes. That is true California weather. Crime in Lake Forest will probably never get into the national news because it's generally a pretty safe place to live. However, thievery does exist and no one should leave anything that they value inside an open vehicle or where someone can just walk off with it. Unlocked cars with purses or jackets or laptops or anything that someone can use or sell are the most vulnerable places that thieves will target in this town. The basic rule is: Leave a something alone long enough and it will be gone before you get back. One woman in an apartment complex left a bag of groceries by her front door while she took in the other bags, and when she returned for it minutes later it was gone. Lake Forest has some nice areas with some very nice homes. Some of the older parts of town, if you can call this area old, have some great neighborhoods that are family oriented with big houses and yards and very safe. Some of these are on the the side streets between Lake Forest Drive and El Toro Rd., between Trabuco Road and Muirlands Blvd. Newer developments which have very nice houses and are good sized in great family neighborhoods are in Foothill Ranch, which is a section of Lake Forest just northeast of 241 toll road. There is plenty of shopping and entertainment in that section of town that pretty much caters to that portion of Lake Forest simply because of its geographical location. The bad or questionable parts of Lake Forest are generally considered to be on the south east side of El Toro Rd. There are some industrial zones there mixed in with apartments and some single family homes. But basically, this part of town looks a bit more unrefined and you would definitely not want to park your car around there if you're not familiar with the neighborhood that you are visiting. Lake Forest is a nice town to pass through or to live in for a short period of time. It's more of a bedroom community with all the real action, whatever that may be for you, always being somewhere else. People seem to be too busy to want to take the time to be nice to strangers and a lot of the residents are just concerned about getting ahead. Traffic is horrible on El Toro Rd. and Lake Forest Dr. It gets worse every year and you should stay off of these two main streets in the morning and late afternoon. So, Lake Forest has too much traffic and it's a bedroom community. If the traffic weren't so bad, it would be a nicer place to get around in and a nicer place to enjoy. Saddleback Memorial Medical Center and Mission Hospital Regional Medical Center are the two hospitals that are quite close to Lake Forest. Plenty of good, solid restaurants in Lake Forest. Avila's El Ranchito is one of the best Mexican restaurants in the whole county. And Lucille's Smokehouse BBQ on El Toro Rd. has been going strong for many years. There are plenty more restaurants in this town to keep your taste buds happy.